Two RDF alumni from RDF Matendla School are making the entire RDF community very proud. D. Sumalatha and K. Prabhakar are both training to be Physical Education Teachers in Hyderabad. They did very well in their entrance test and have got a free seat in the training institute. In school, Sumalatha was also selected by Sports Authority of India Sports Academy and participated in several national and state competitions. In their spare time, both visit the school and provide training and instructions to students. They conduct practice sessions and in particular, Sumalatha, has taken responsibility who will be participating in mandal level competitions. This is the spirit of RDF – students who selflessly give back eagerly and willingly. India’s National Days are always celebrated in every school across the country – its tradition and it’s a great way for everyone to learn about India’s struggle for independence and reasons to continue celebrating the nation’s independence. 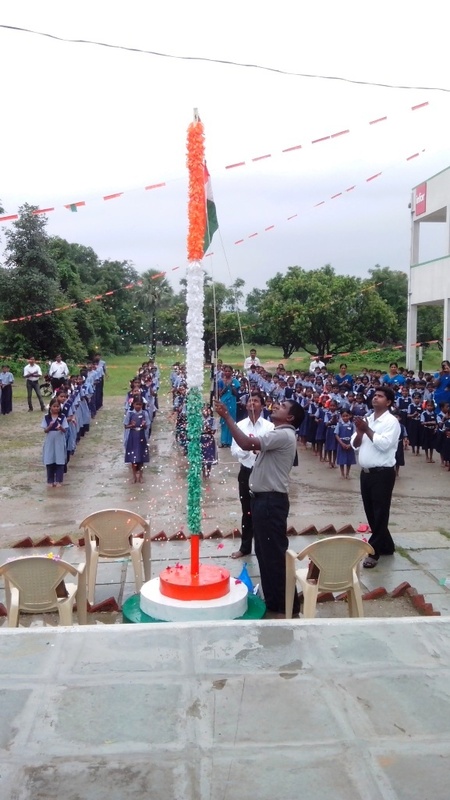 In RDF Rollakal School, the team invites a farmer for flag hoisting. The reason behind this tradition at the school is for students to appreciate that India is still an agricultural country and rural Indians earn their livelihood through farming. It’s a salute to India’s independence and its agricultural roots. 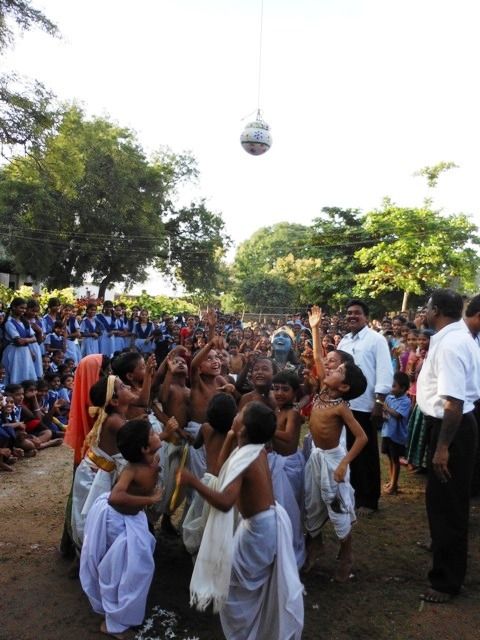 Together, the students sang songs, ending the program with a prize distribution ceremony. It is hard not to miss the messages and detrimental outcomes of environmental pollution and its toll on human health and the planet. Green measures are practiced in RDF daily – right from using discarded firewood for cooking, to using ash for cleaning utensils and growing some of our own food for the midday meal. As part of the Social Awareness Program, students in RDF Redlawada School wanted to make their community aware about the ill effects of using plastic. They went a step further and made paper bags out of old examination question papers and envelopes. They then went to some villages around their school to distribute the bags. They explained why plastic causes contamination, is non biodegradable and causes harm. 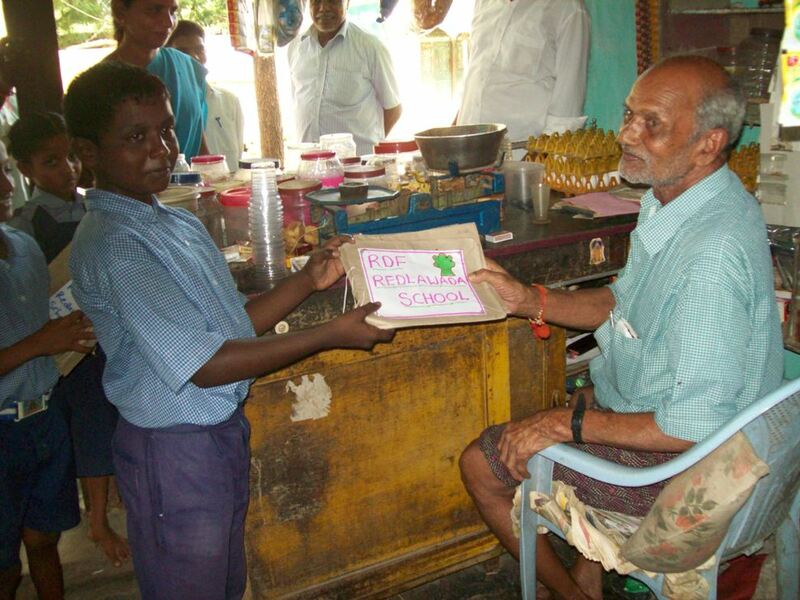 They urged and motivated the villagers to switch to using paper bags. Their forthrightness and social message was appreciated by the villagers and now they are proactively trying to significantly reduce the use of plastic. At RDF, we are very proud of our cultural traditions and to honour our secular vision, we celebrate all festivals with school students and staff. We also like to celebrate such festivals, in order for younger generations to understand the historical and cultural significance of such traditions and understand the true reasons for celebration. 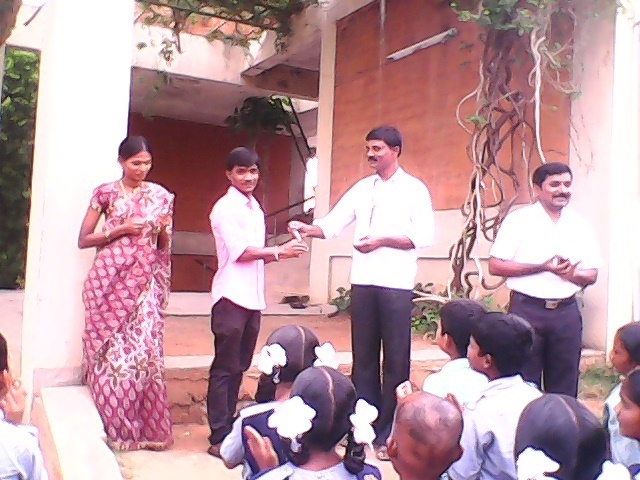 It was in this spirit that SRI KRISHNASHTAMI was celebrated in the school on 29th August. After offering prayers to Lord Krishna, students, dressed in traditional outfits, gleefully broke the customary pot of curd. It was not a holiday, but a day of bonding and joy for everyone.